Preliminary Rules/Criteria; subject to change. Guinness Book of World Record Holder, Shucker Paddy, with oysters from Fanny Bay Oysters, will host some of the fastest shuckers in BC to compete to the top prize of an all-expense paid trip to compete in the PEI Shellfish Festival Raspberry Point Shucking Championship! Competitors must arrive promptly at the specified orientation point (stage) before the event in order to participate. Once your application is submitted and approved more specific information about competition will follow. Competitors will be shucking Pacific Oysters (Crassostrea gigas). Application and Waiver Form-Important!! Contestants must submit a completed Shucker Application and Waiver Form in advance of the competition in order to participate. 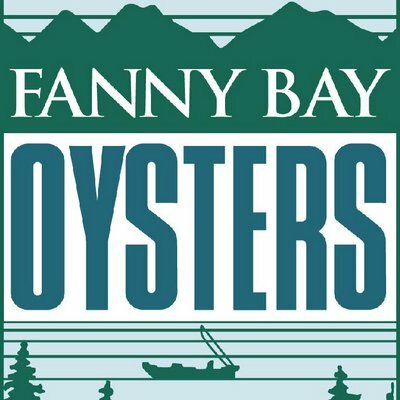 Oyster sponsor will select and pre-bag oysters for each contestant. Bring own blade/knife. No mechanically assisted knives will be permitted. Any additional items used including blocks, boards, bricks, hammers etc. will need approval of the Head Judge. Knives may be provided by the contest organizers and/or may be shared/borrowed from other contestants. Shuckers are assigned one oyster bag randomly. The shucker removes the oysters from his/her bag and arranges them for shucking. Shucker may appeal to the Chief Judge any oyster considered of improper quality for the contest. At the Chief Judges discretion, he/she may substitute another oyster taken from an additional container on hand designated for substitutions. The final number of oysters to ultimately be shucked will be announced at the orientation (between 12-24 oysters total). Shuckers may wear tape, finger-stalls or gloves, use their own knives and carry an extra knife for use in case the first breaks. ALL knives used must have been approved by the Chief Judge prior to the start of the contest. No mechanically assisted knives will be allowed. At a signal of the Shuck-Off emcee (previously demonstrated) all timekeepers’ simultaneously start their stopwatches and shuckers begin shucking. Contestants place each oyster on an unbroken half-shell and arrange all neatly on a coded tray provided Oysters should be whole, uncut and free from the shell. When a contestant has completed shucking and has arranged the oysters to his/her satisfaction, he /she will raise both hands overhead and step back from the shucking table, and the timekeeper will stop the time. Once this occurs a shucker may not touch the tray of oysters. Timekeepers will deliver the coded trays to the judges’ tables in such a manner that the judges will not be aware of whose tray they are judging, and be responsible to keep the Oysters in the original condition that the shucker left it in – i.e. : the timers will be careful not to spill/move the oysters. Each timekeeper reports his or her contestant’s shucking time (in seconds) to the Stage/Shucking Clerk. When Judges have completed scoring each tray, they turn in their results to the Stage/Shucking Clerk who delivers them to the Computation team. Total adjusted time (penalties/bonuses considered) for each shucker is then computed for the Organizing Sponsor to announce at the end of the competition. The winner is the contestant with the lowest total seconds that has not been disqualified by the judges. Intentionally touched his/her oysters or tray after having signalled completion. Distracted a fellow competitor by vocal or physical interference during the shucking heat. If any injury occurs, the participant is solely responsible for the total cost for any searches, ambulance charges or any other cost involved with an injury or incident. TO RELEASE COMOX VALLEY ECONOMIC DEVELOPMENT AND BC SEAFOOD FESTIVAL FROM ANY AND ALL LIABILITY for any loss, damage, injury or expense that I may suffer or that my next-of-kin and invitees may suffer as a result of use of shucking knives and other shucking tools.